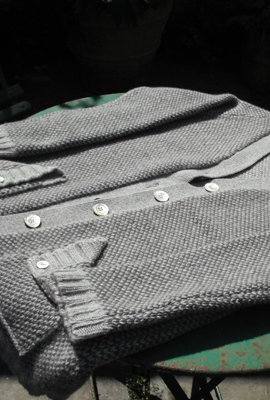 Long, 4 ply cashmere and wool cardigan. This is made in a pattern of 2 greys with slanted, buttoned pockets. It is finished with specially made horn buttons.